There is a certain kind of magic to hearing the announcement of a friend’s name on an award shortlist – a moment where suddenly you feel that truly anything is possible. Sometimes, this magic even takes place right here in our own office! 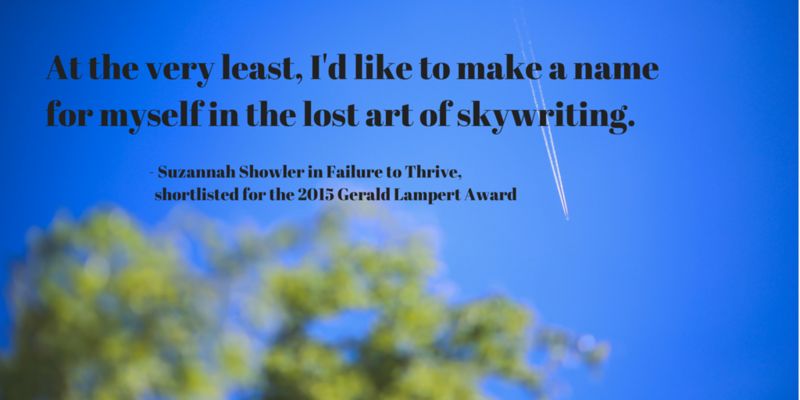 The talented and extremely bright Suzannah Showler was shortlisted for her first book of poetry Failure to Thrive and I could not be more glad to have her on the blog here today. The collection was shortlisted for The Gerald Lampert Memorial Award which is given in the memory of Gerald Lampert, an arts administrator who organized authors’ tours and took a particular interest in the work of new writers. The award recognizes the best first book of poetry published by a Canadian in the preceding year. The award carries a $1,000 prize and this year’s winner, Kayla Czaga, was announced at the LCP Annual Poetry Festival and Conference in Winnipeg on May 30th. This year’s jury had much to say and suggested that the message of this book would be immediately acceptable if we would only admit how easy it is to lie to ourselves about a cultural ill-health. Then, in double turn, while we’re reading and still deciding, Showler proceeds with craft and intellectual acumen from our collective lie and asks that we please don’t read anything as diagnostic, but prognostic. Poem to poem, without recovery time, Showler presents these alternative prognoses with an infectious dark gleefulness; the book is a resource of potential conditions under which we can offer ourselves a renewed, more difficult honesty. I just googled “what is inspiration” to help me answer this question, but it only sent me spinning down a corridor of thinking about what, if anything, anyone can know for sure is external to their own mind. This is a pretty decent example of why I write poetry. Poetry allows you to work in territory that’s beyond you, to muck around with questions you’re not even remotely capable of answering. You don’t have to explain yourself, you can just be like: Look! Stuff! Looks like other stuff! One idea, another idea, the end. I’ve found poetry’s a good place to hang out if you’re prone to abstraction but lacking in clarity and logic. Can you describe your writing process for us? I went on a jag this winter where I became obsessed with arm-knitting. That’s exactly what it sounds like: knitting using your own arms as needles. I’ve also got lofty dreams to try mega-knitting, which is where you coil over-sized strands of wool from a giant ball of sheep fluff and knit it into ginormous things with PVC pipes. Other recent and long-standing obsessions that are definitely not writing: the space-ship-level fancy gym at Ohio State, running outdoors, roasting coffee beans in the kitchen, drinking all the coffee before Andrew wakes up. The theme for this year’s National Poetry Month is food. If your book were a meal, what would it be? I moved to the US a few months ago, and popcorn here is a whole other species. You wouldn’t believe the flavours they stick to exploded corn! 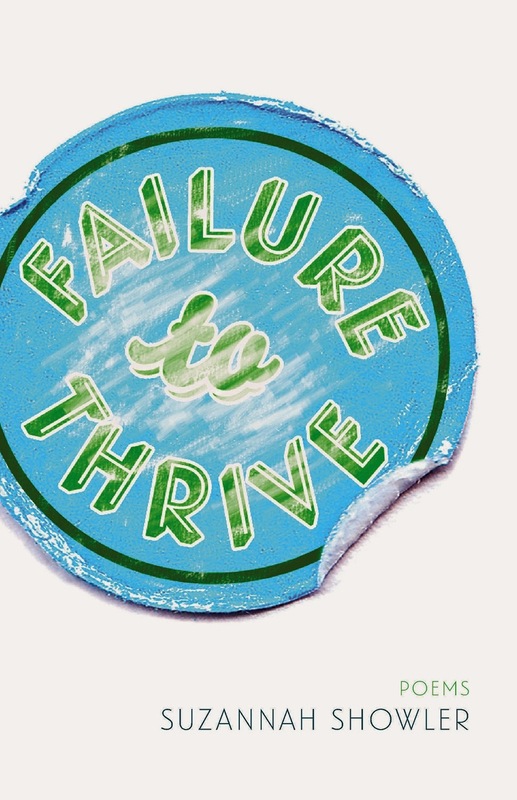 Ideally, I’d like reading Failure to Thrive to be like accidentally consuming an entire bag of popcorn on your own: insubstantial enough that you keep shoving it in your face, turns your tongue numb by the end. You are this century’s Rilke composing your Letters to a Young Poet. What is your advice? Suzannah Showler’s writing had appeared places, including The Walrus, Maisonneuve, Hazlitt, and Joyland. 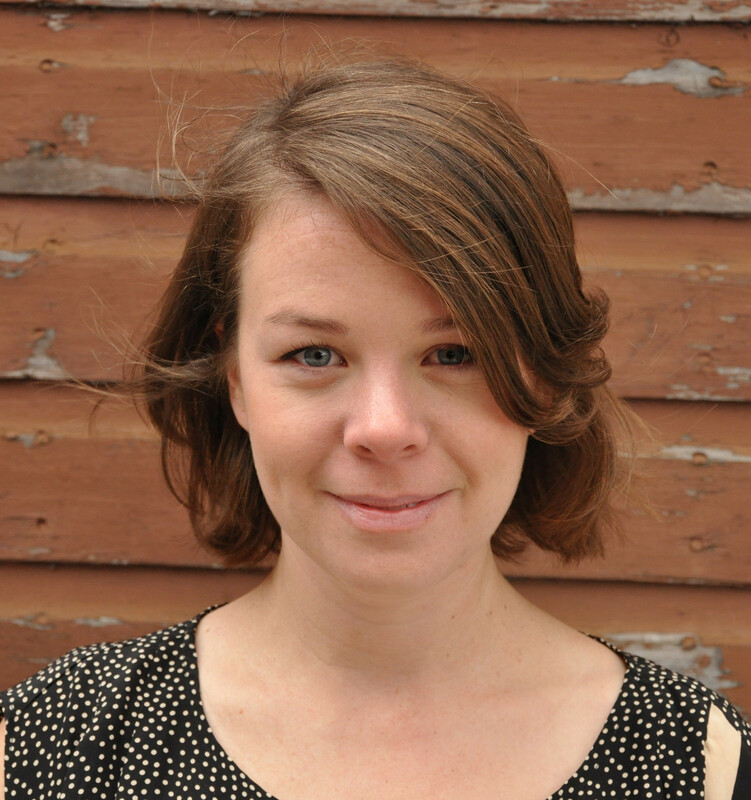 She was a finalist for the 2013 RBC Bronwen Wallace Award for Emerging Writers and winner of the 2012 Matrix LitPOP Award for Poetry. This is her first book. You can find her online here.